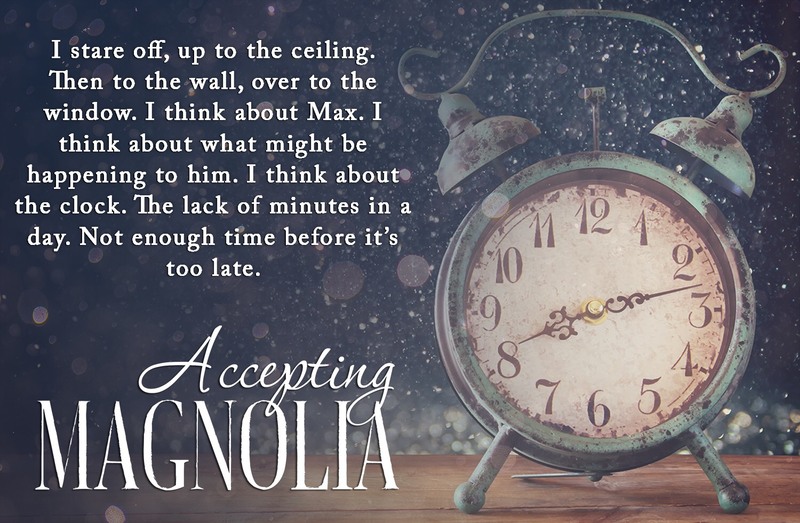 Accepting Magnolia is a book filled with several genres rolled into one. The book starts out telling us how Magnolia has always been the misfit and how she grew up being a loner because of her psychic abilities. How she was picked on growing up. How she only ever had 1 true friend. Sadly her one friend was murdered while they were still children. Then the book moves on to horror, Now Magnolia is all grown up and working as a 911 operator, when a small boy who has been kidnapped comes to Magnolia in visions. You have mystery, trying to figure out who the boy is, who kidnapped him and where he is. 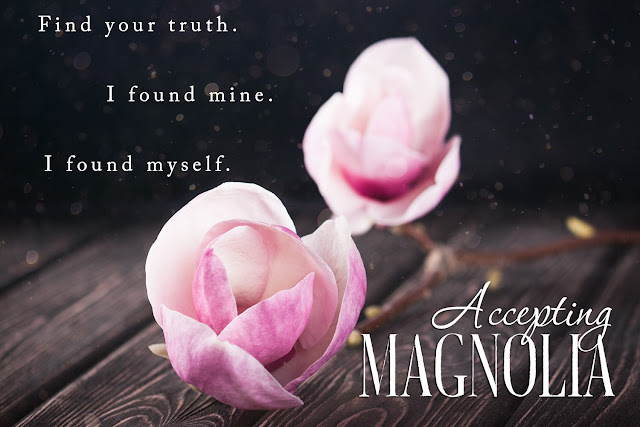 He sends her signs but Magnolia has to decipher the meaning of them to find him before it is to late. 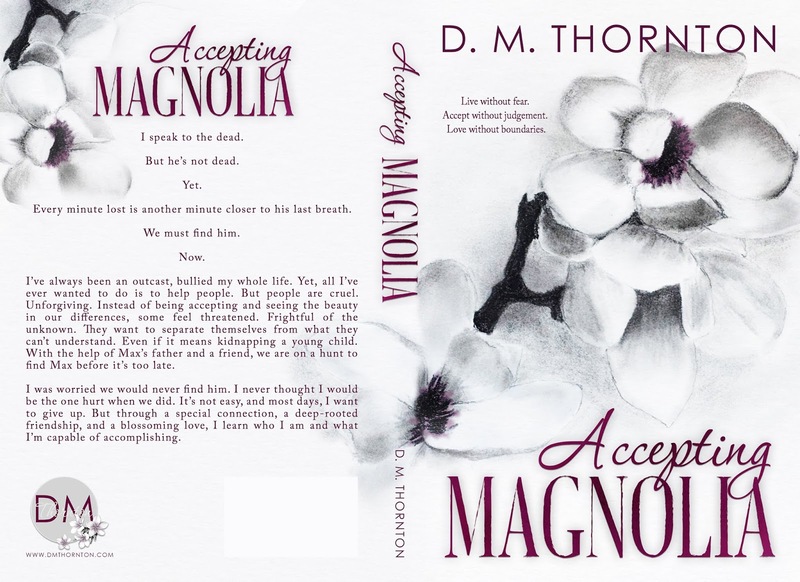 There is gay tolerance, as Magnolia's new best friend is a gay man, actually there is all types of people tolerance, as the person who kidnapped the boy done it because he believes the boys father is a Muslim. There is also the struggle of learning how to live with a disability. And yes there is romance too. This book had me captivated from page one and I could not put it down. 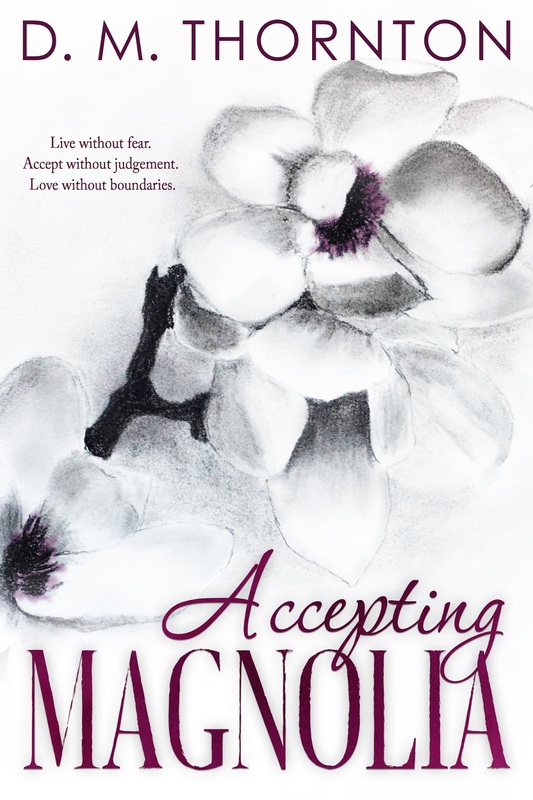 I would love to see this book turn into a series. I will also be looking for more books by D.M. Thornton. I really loved the way she wrote this story. 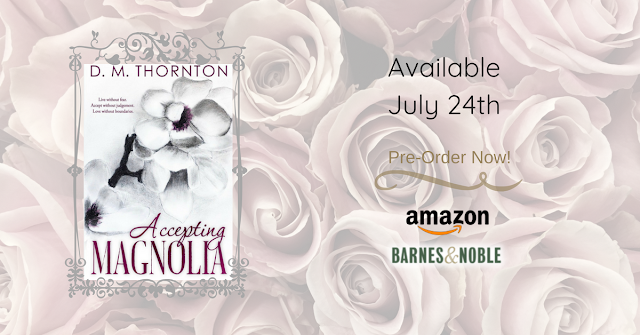 It was not filled with boring descriptions that had nothing to do with the story line. There characters were amazing and life like. To this was just a great books and I really enjoyed it.